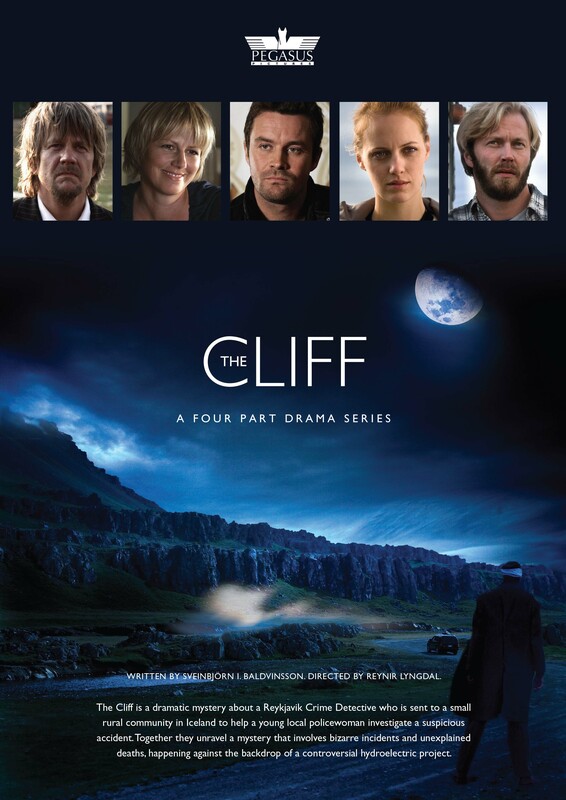 The Cliff is a dramatic mystery about a Crime Detective who is sent to a small community in Iceland to help a local policewoman investigate a suspicious accident. The driver of a power shovel suffers an accident at night in the vicinity of the works of a controversial power line that must cross a cliff. Considered since times of old a sacred place, the locals know of strange lights up there and unexplained phenomena. The detective is sent to the small town to help the inexperienced head of the local police in the investigation of the facts. As often happens in cases of small towns, petty interests, secretiveness, and small intrigues make things more complicated than it may seem at first glance.